Nissah Mattenson nee Mesch, 82, beloved wife of the late Merle for 62 years, loving mother of Eric (Pearl) Mattenson, Robin (David) Small, Abra (Murray) Alscher, Evan Mattenson and Aliza Mattenson (Ciaran Kinsella); adored Bobe of Avi, Akiva, Aeron (Arielle), Elan, Ariel (Rachel), Elie, Ean, Daniella, Lianna, Noa, Orly, Kaelen and Eva; dear sister of Dr. Barry (the late Caryl) Mesch. She was dedicated to the Jewish community through significant leadership roles in Hadassah, North Suburban Synagogue Beth El and as one of the founders of Solomon Schechter Day School. Service, Monday 12:30 PM at North Suburban Synagogue Beth El, 1175 Sheridan Road, Highland Park. Interment Shalom Memorial Park. In lieu of flowers, donations may be made to Hadassah. 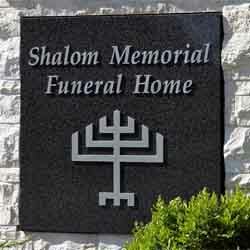 For information or to leave condolences, Shalom Memorial Funeral Home (847) 255-3520 or www.shalom2.com. May God remember the soul of Nissah Mattenson who has passed to eternal rest. O God, I pray that you will keep the soul of my dear______________ united with us in the bond of life. In his/her memory, guide me so that I will live righteously, fulfilling Your will and serving our people. May his/her soul rest in peace and be remembered as a blessing. O God, as I remember, Nissah Mattenson I pray that I may emulate all that was good and righteous in his/her life. May his/her soul be given eternal life and his/her memory always remain a comfort and source of inspiration. A link has been broken in the chain that has bound us together, yet strong bonds of home and love hold us each to the other and we give thanks for the blessing of life, of companionship, and of memory.